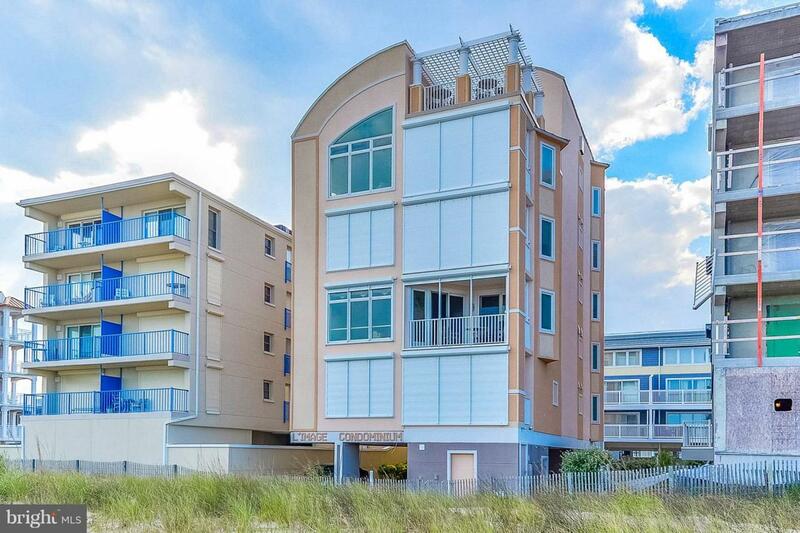 Ultimate luxury in North Ocean City! Innovative one of a kind floor plan featuring 3 bedrooms & 3 full bathrooms. Small 4 unit mid rise masonry building (one unit per floor). Secure lobby & elevator with private electronic elevator access/entry to each residence. Beautiful decor & decorator designed interior appointments & furnishings. Kitchen - 42" cabinets. Stainless steel appliances. Breakfast bar/entertainment island. Granite Countertops. Under cabinet lighting by Ambience Lighting System. Master Bedroom has romantic up-lit cove lighting. Walk in closet w/custom shelving & space savers. Ceiling fans. Mirrored closet doors. Master Bathroom has luxurious 2 person shower with multiple shower heads. Toto g-max elongated toilets. Designer glass shower doors & hardware. Separate his and her vanities. Kohler, Grohe & Toto plumbing fixtures. Granite countertops in all 3 full bathrooms. Florida tile flooring & tub/shower surrounds. Rooftop terrace finished with spa, shower, wet bar & sun deck, as well as a trellis roof area. Truly a must see. Conveniently located near the Maryland/Delaware line and close to restaurants, entertainment and shopping. Exclusions Contents Of Closets. Bar in Living Room. Tv Master Bedroom. Wine Rack in Dining Room.